A Questionable Alliance Of Warm, Tasty Baked Goods (Hot Cross Buns) - A new angle on "Hot Cross Buns." The recorder part which uses G, A, and B looks a lot like what you find in many recorder methods. Where it takes a turn from the norm is in the crazy accompaniment tracks which go from a polite classical orchestra, to rock, and finally to a merging of the two - all while your students play the melody three times through. It's great fun! The Way We Roll - While a great rock groove sets the mood, there is a pretty straightforward statement of the melody, which only uses the notes G, A, and B. This is a good song for understanding rests. Scarily We Troll Along - This is not your run-of-the-mill teaching tune. If you want your beginners to sound good early in the year and boost their confidence, this setting will do it. As students grasp the notes G, A, and B, this song provides a nice chance to discuss major and minor, and get creative with the lyrics. Variations On A Tragic Barnyard Air - That old American folk song "Go Tell Aunt Rhody" is not exactly a happy tune, but it's a good song for the study of the form "theme and variations." Listen to our excellent recording and discuss what your students hear in each variation. The recorder part uses the notes G, A, B, C, and high D.
When The Saints Go Marching In - This well-known Dixieland-style piece plays an important part in the history of American music. For this arrangement, we got together a nice ensemble of jazz players. Your recorder students will only need to play G, A, B, C, and high D.
When De Saints - How 'bout a little reggae? This restatement of the classic Dixieland song will give you the chance to discuss a style that originated in Jamaica in the 1960s and grew out of other Caribbean styles and American blues. Your students will use G, A, B, C, and high D.
Ode To Joy - This remarkable arrangement for recorders using low D, G, A, B, C, and high D is grand and exciting, and your recorder students will love it! The real beauty of this simple and elegant song is the recording. The orchestral treatment is so fine, we think even Mr. Beethoven would enjoy it. You'll appreciate all the teaching concepts in this recorder resource and your students will love the songs. 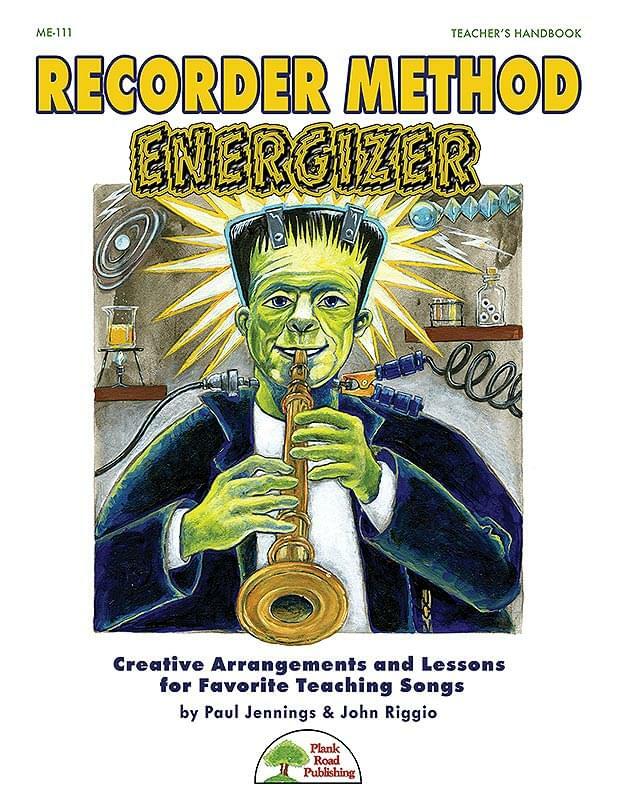 Breathe new life into your recorder program with Recorder Method Energizer.